Harvest: End of August Early of September for Mavrodaphne. Second half of August for Black Corinthian. Winemaking: According to the traditional way of fortified sweet wine .Winemaking of each grape variety and arrest of alcoholic fermentation by adding grape derived alcohol. Description: Dark amber color with brown hues. 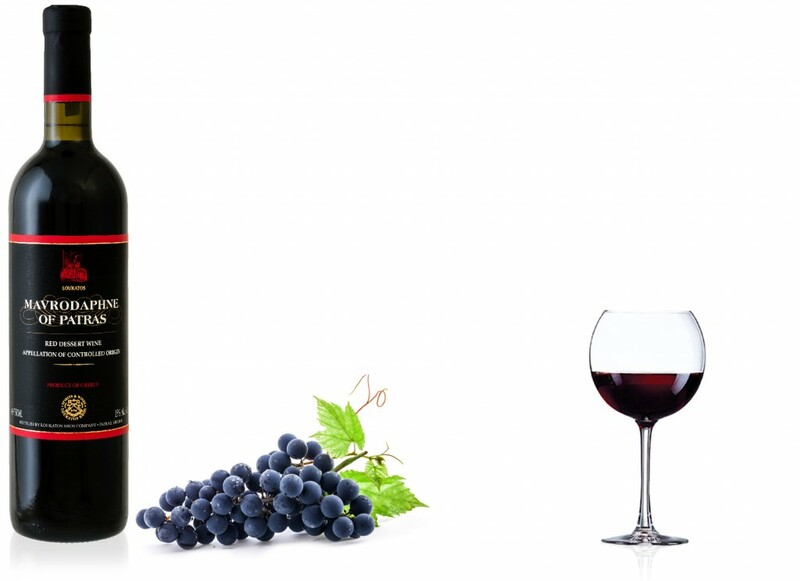 On the nose, an intense dark fruit bouquet of blackberry and blueberry, followed sweet aromas of dried figs and plums. Great body weight full mid-palate balanced by acidity. Mavrodaphne is an aperitif, best served with roasted almonds and dry fruits. It is best served with fruits yellow cheese, ice cream, sweets and chocolate.